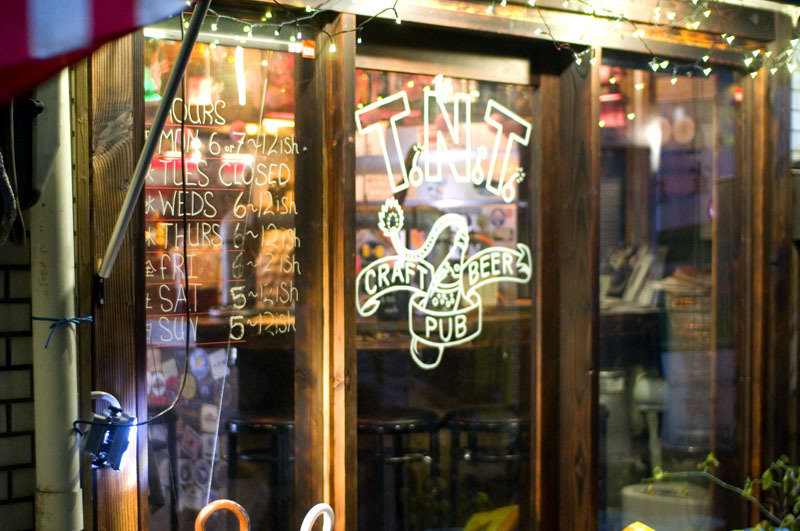 This extremely informal, charmingly scruffy bar has one of the most impressive selections of US craft beers by the bottle that we've seen in town, usually with more than 100 to choose from. Most bottles are in the Y900-1200 range, although you'll also run across some rare finds at higher prices. 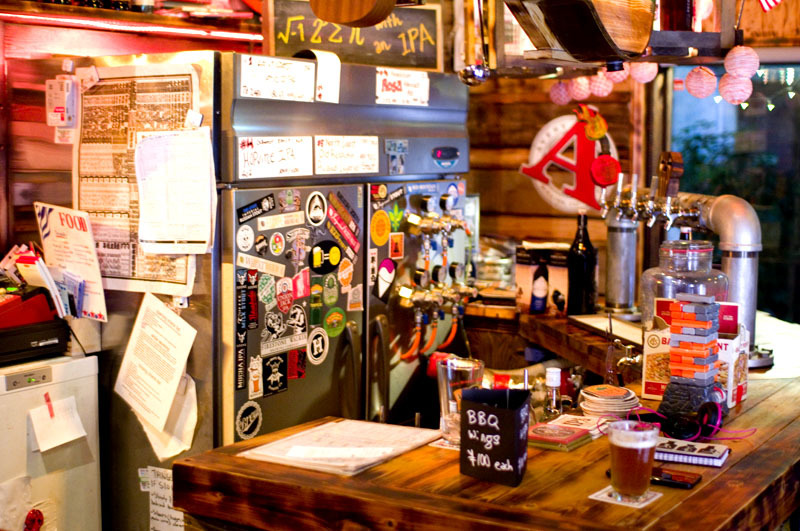 The bar's five taps are also US-centric, priced at Y1000 a pint. 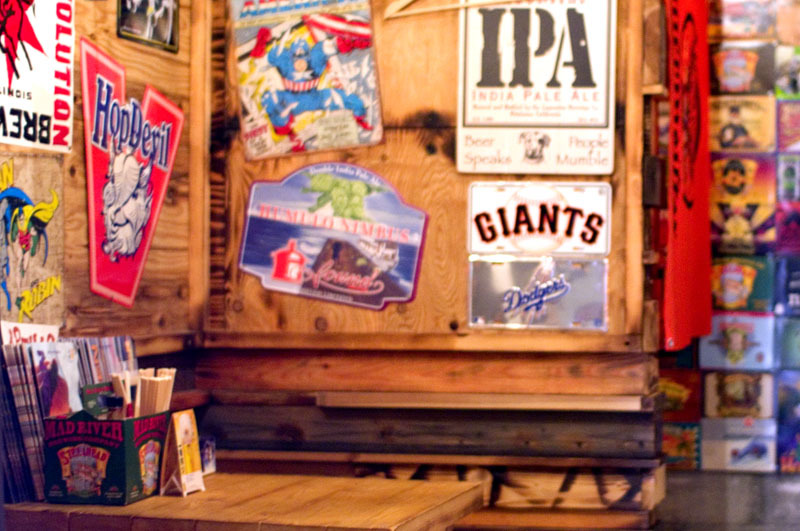 The place is run by two American beer lovers and rock-music fans, and it has a friendly feel to it. 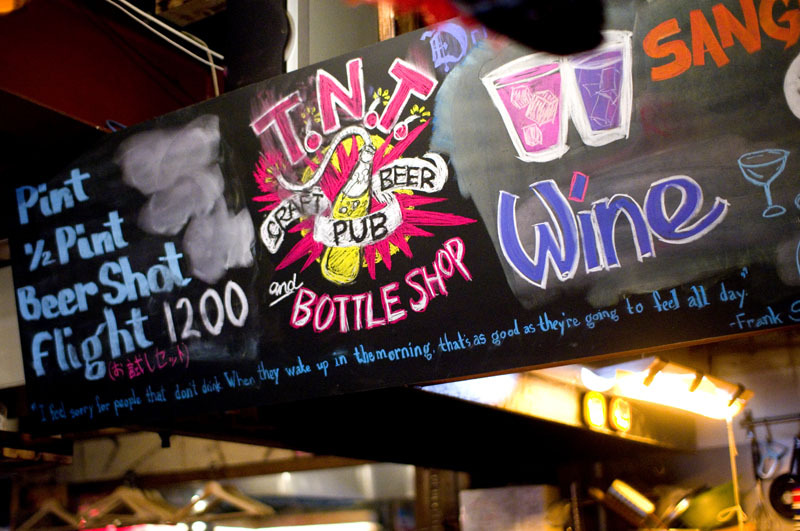 The food menu is limited to simple items like Buffalo wings and grilled-cheese sandwiches. If you're planning to go at an early hour, be sure to check their Facebook page to confirm that they're not opening later than usual.